James Potter was born in County Tyrone, Ireland, and emigrated as a boy with his family to New Castle, Delaware, in 1741. The family settled in Cumberland County, Pennsylvania, where his father became the first sheriff. In that frontier setting young Potter did not receive a formal education. After becoming a lieutenant in the militia at age twenty-five he participated in the Kittanning campaign of 1756. He entered the 1763-1764 campaigns against the French and Indians as a captain and emerged as a lieutenant colonel. When not engaged in the military, Potter was a farmer. After the treaty of 1768 made more Indian lands available for settlement, Potter was one of the commissioners appointed by the provincial government to encourage settlement in central Pennsylvania’s Penn Valley. He himself, in 1774, bought a large tract of land for his home there. With the coming of the American Revolution, Potter became an early leader of the patriot movement. In 1776 he was made a colonel of a battalion of associators and served as a member of the constitutional convention in Philadelphia. 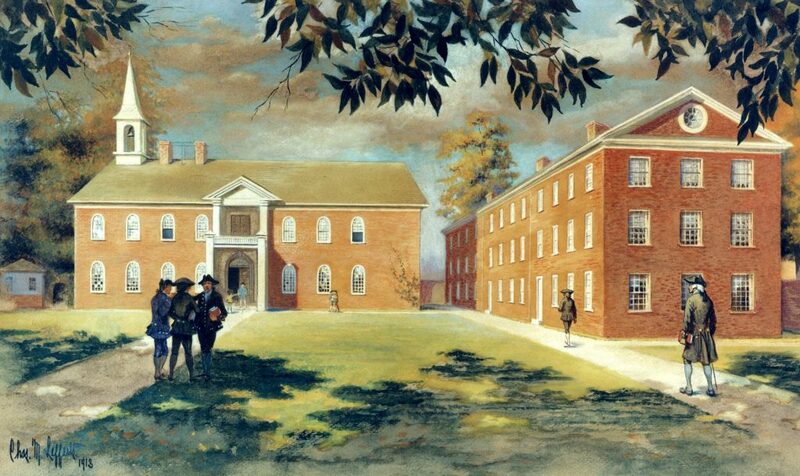 Potter commanded the Northumberland militia at Trenton, Princeton, Brandywine, and Germantown. The illness of his wife led to his return home in 1778. Indian activities forced Potter to relocate his family the following year. In 1780 he was elected as a Constitutionalist to Pennsylvania’s Supreme Executive Council; the next year he was chosen the council’s vice president (the equivalent of lieutenant governor), but in 1782 was not successful as the Constitutional candidate running against John Dickinson for president of the council. During his term as lieutenant governor, Potter served in an ex officio capacity as a trustee of the University of the State of Pennsylvania (now the University of Pennsylvania). Potter was named major-general of the militia in 1782, and deputy surveyor for Pennsylvania in Northumberland County in 1785, a post he held until his death four years later as the result of a construction injury. He also was in charge of land development projects in Penn’s Valley for a land speculation company. His first wife was Elizabeth Cathcart of Philadelphia, and his second wife was Mary Patterson Chambers, daughter of James Patterson of Mifflin County.